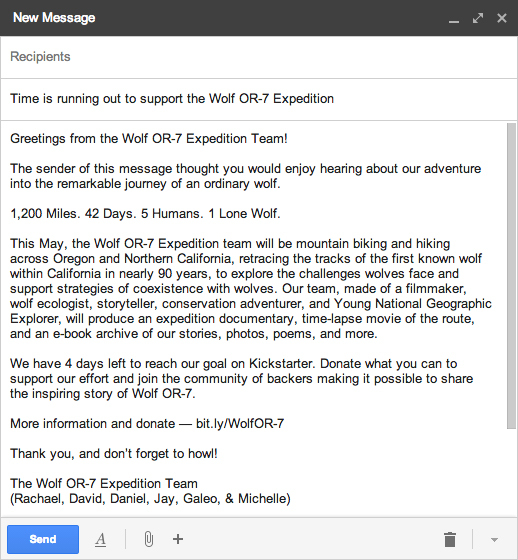 Mission : To raise explore the challenges faced by wolves and support strategies for human-wolf coexistence. By the Numbers : 1,200 miles (900 by bike, 300 by foot), 42 days, 5 humans, 1 lone wolf (the first known wild wolf in California since 1924). 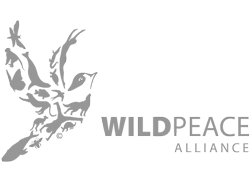 Dates : The Wolf OR-7 Expedition will begin mid-May and end in late June 2014.